Reduce time and effort required for pool maintenance. 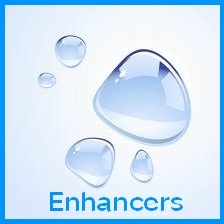 Super Sheen Sachets aids in the removal of suspended particles to clarify pool water. Also available in singles. Aqua Dazzle coagulates fine organic and inorganic particles into bigger "clumps" which can then be trapped in the filter. Jelli Blue is used as a maintenace clarifier for pool water. Filter Plus removes tiny particles of metals, suspended dirt, dust and algae from pool water by trapping them in the sand filter. Drop & Vac is a flocculent used to settle suspended particals for vacuuming out of the pool.